So you have made the decision to keep your warehouse safer by adding Adrian’s Safety Solutions Rack Safety Straps or Safety Nets to your warehouse racking? Excellent choice! ONE – Beam Length – in inches! What is the length of your beam from post to post? We need the measurement in inches. 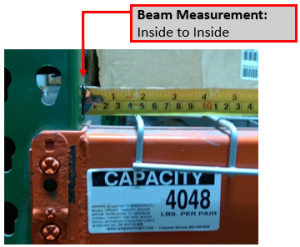 While most manufacturers may produce an 8, 9, 10 or 12 foot beam the actual measurement in inches may vary. Example: One manufacturer’s 8 foot beam may be 8’ 3” (99 inches) while another’s may be 8’ 6” (102 inches). 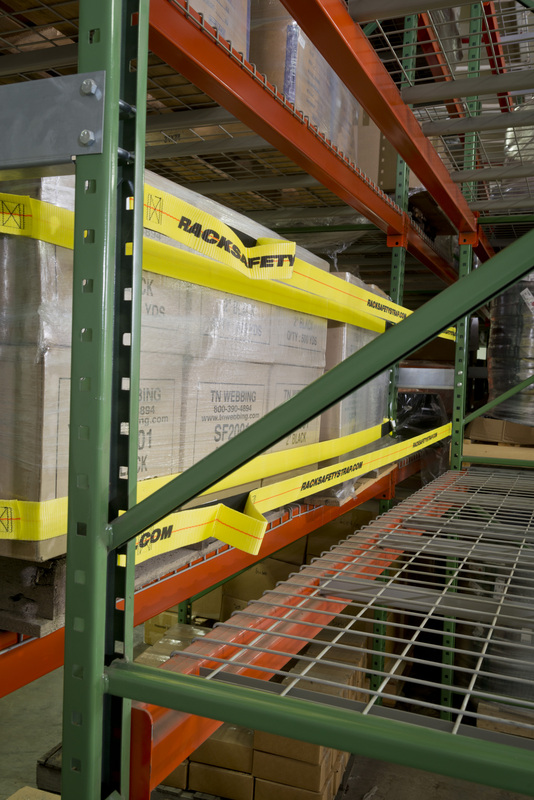 The additional 3 inches will make a big difference in making sure your rack safety product size is ideal for your warehouse racking. Contact a member of our sales team to discuss any measurement questions. Note: All straps and nets are designed to allow for a 6″ overhang. At Adrian’s Safety Solutions, our primary objective is to offer products that allow for a safer workplace environment at a reasonable price. Our three product lines include Adrian’s Warehouse Safety Solution, Bednet® Cargo Control Solutions and Freight Saver. ©2019 Adrians Inc. All Rights Reserved.